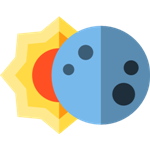 Solar eclipses occur when the Sun, Moon and Earth are perfectly aligned when the Moon passes between the Sun and Earth during the new moon phase of its orbit. This causes the Moon to block sunlight to Earth, turning day-to-night revealing the Sun’s stunning corona, prominences and even the Moon’s mountains! Viewing a total solar eclipse is one of the most stunning natural phenomena one can ever experience! A solar eclipse is caused by a strange cosmic coincidence where the Sun and Moon appear about the same size in the sky during the New Moon phase. This happens because the Sun is about 400 times further away than the Moon is, yet the Sun is about 400 times the size of the Moon!! If the Moon didn’t orbit where it does, or its size was significantly different than it is, then we wouldn’t get to experience this cool cosmic event! 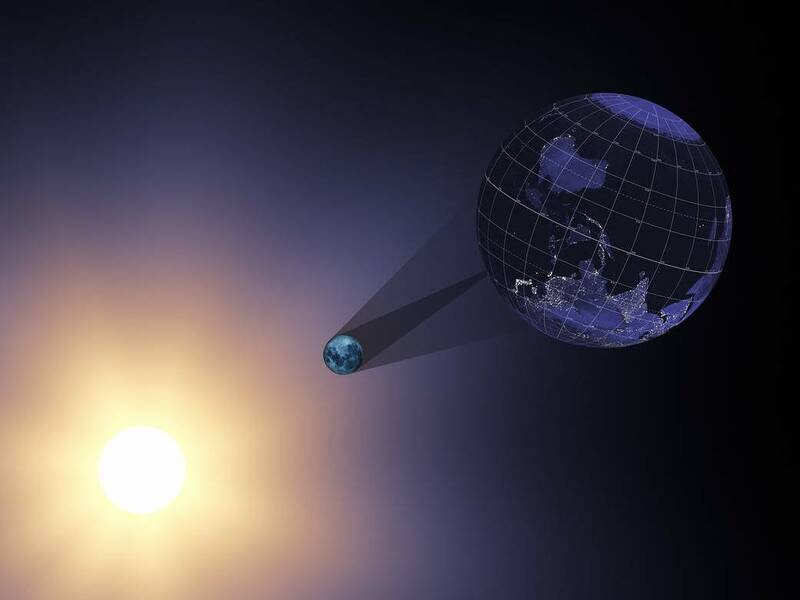 During a solar eclipse the Moon happens to pass in front of the Sun and if the alignment is just right, it can block out the solar disc completely causing a Total Solar Eclipse! During this time, day turns to night along a small strip of the Earth’s surface as the Moon’s shadow races across Earth’s surface! 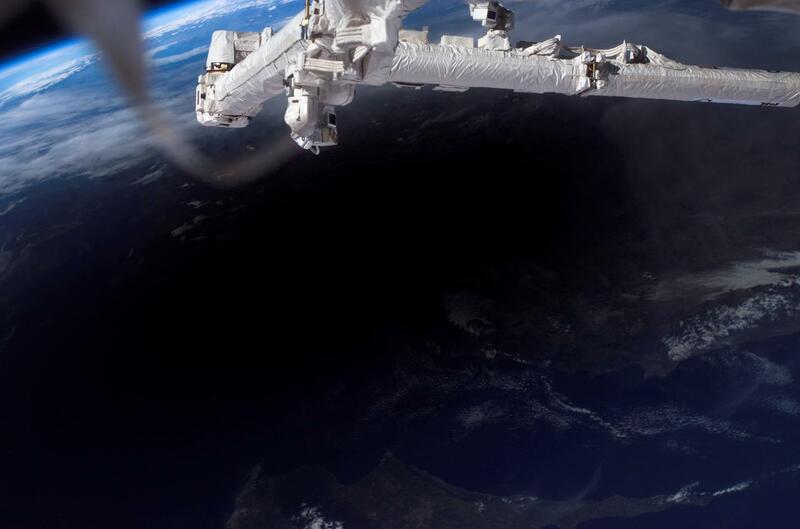 When the Sun is eclipsed, the faint but beautiful, outer atmosphere (called the corona) of the Sun is revealed around the dark lunar disk for as long as 7 ½ minutes that the eclipse may persist. 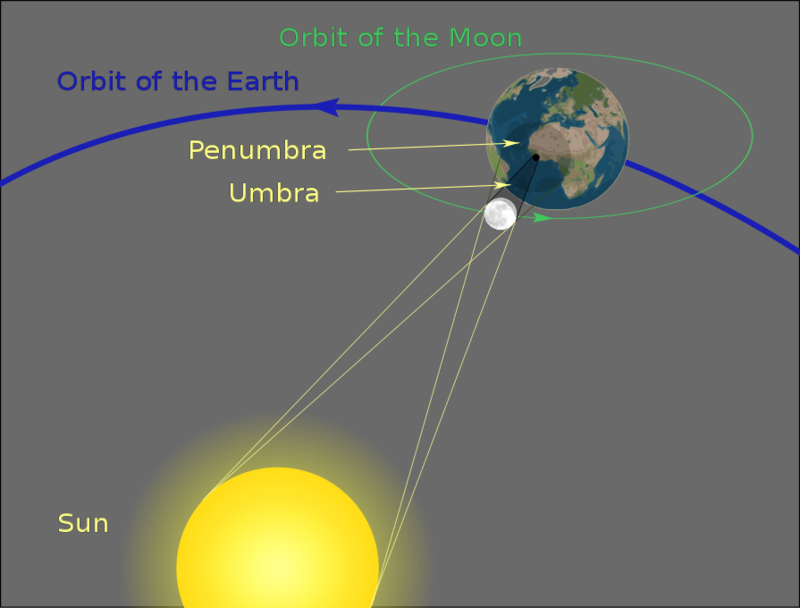 This time is known as 'totality' and the area of the moons dark shadow is called the Umbra with the wider partial shadow area called the Penumbra. In addition to the Sun's visible pale white corona around the edge of the Moon, if you’re lucky, you’ll get to see some brilliant red prominences just above the Sun’s surface! These are colossal flames from eruptions of hot plasma which are many times the size of Earth rising off the Sun and into space. You may even be able to make out the backlit high mountains of the Moon. As the Moon completes its transit of the Sun, look out for the crazy cool Diamond Ring effect as the first of the Sun’s rays re-emerge! What Types Of Solar Eclipses Are There? Solar eclipses come in three major forms, with at least two of them (and a maximum of five!) occurring somewhere on Earth during the course of a year. Partial eclipses are when the Moon passes in from of the Sun but isn’t exactly aligned so only obscures part of the Sun. It will cause the day to get slightly darker, but these aren’t particularly spectacular as the change is not that dramatic. Annular solar eclipses are a special type of solar eclipse which results from the Moon's orbit not being completely circular. If the Moon is at a point where it is far from Earth (near Apogee) and passes in front of the Sun, it won’t completely block the Sun. This forms a unique ring of light around the dark lunar disc! 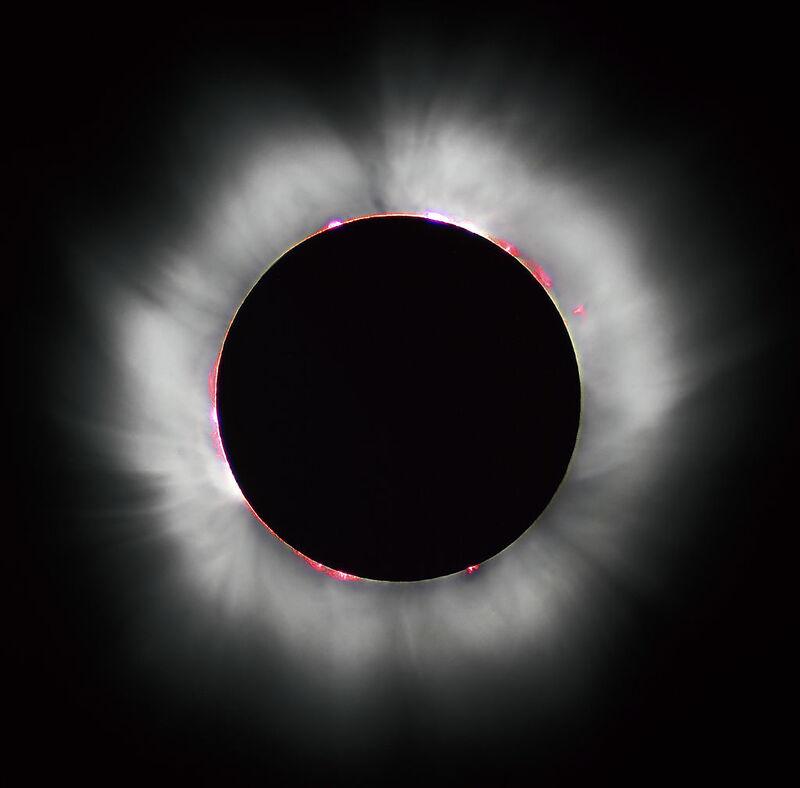 Total solar eclipses occur when the Moon completely blocks out the Sun, with day turning to night, as the moon’s shadow races across the Earth’s surface. Viewing a total solar eclipse in person is one of the greatest events you can experience in nature. Once you’ve seen one you’ll be hooked! Where And When Do They Occur? To witness these phenomenal cosmic alignments, such as a total eclipse, you need to be in a specific part of the world (within the Moon’s shadow as it sweeps over the Earth’s surface) at a particular time. Eclipses can occur anywhere from the North to South Pole, across oceans, deserts and occasionally (about every 6 months) places where people live which are easy to get too! The width of the Moons shadow ranges anywhere up to 160 kilometres (100 miles) and races across the surface at 1700 km/h! So you need to be sure you’re in the right place at the right time not to miss it! Don’t worry though, as astronomers are really good at predicting the time and place of these solar eclipses, with charts available of future eclipses for hundreds of years into the future as the orbits of the Earth and Moon are well understood and can be modelled with high accuracy! Why Don’t Solar Eclipses Occur Every Month? Despite the Moon completing an orbit of the Earth about every month, eclipses only occur a couple times each year because the Moon orbits the Earth at an angle of 5 degrees. This means the alignment during the new moon phase, isn’t always perfect enough to pass in front of the Sun. We need to wait until the Moons angled orbit lines up directly with the Sun and Earth. 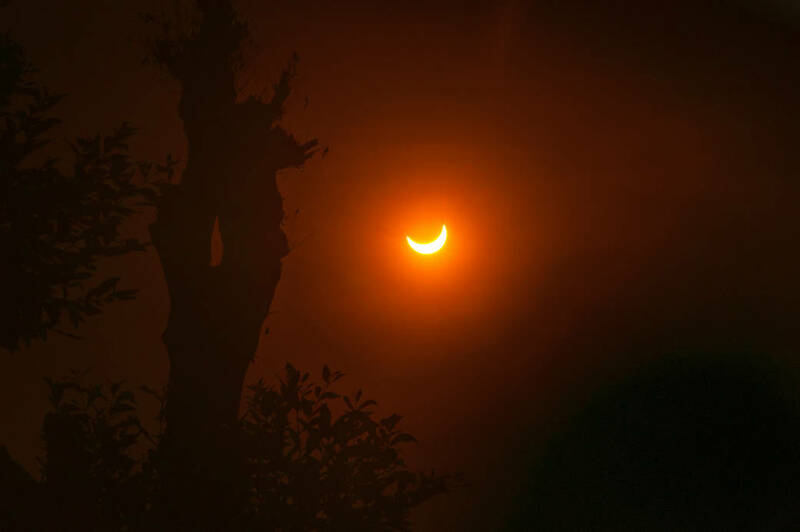 Annular solar eclipse, December 26th 2019, duration = 3m 40s, best view from Singapore. Annular solar eclipse, June 21st 2020, duration = 38s, best view from Nepal. Total solar eclipse, December 14th 2020, duration = 2m 10s, best view from Central Argentina. Annular solar eclipse, October 23rd 2023, duration = 5m 17s, best view from Nicaragua. Total solar eclipse, April 8th 2024, duration = 4m 28s, best view from Central Mexico. 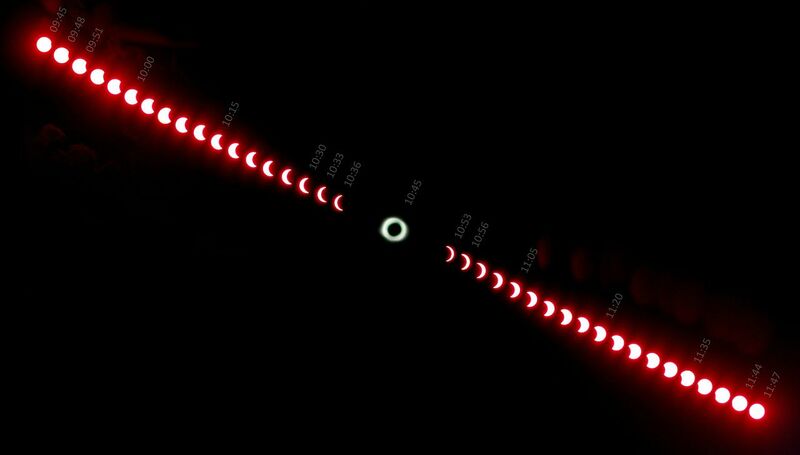 Annular solar eclipse, February 6th 2027, duration = 7m 51s, best view from Eastern Argentina. Total solar eclipse, August 2nd 2027, duration = 6m 23s, best view from Luxor Egypt. Annular solar eclipse, January 26th 2028, duration = 10m 27s, best view from Southern French Guiana. Total solar eclipse, July 22nd 2028, duration = 5m 10s, best view from Northern Australia. Annular solar eclipse, June 1st 2030, duration = 5m 21s, best view from Central Russia. Total solar eclipse, November 25th 2030, duration = 2m 50s, best view from Eastern South Africa. And remember, you need special dark eclipse glasses to view the bright Sun to avoid damaging your eyes!